Welcome to Healthy Dads where our goal is every dad better. In this episode we talk about a recent obstacle I saw, did nothing about, then had a change of heart, took action, and the result. And ways you can do this, too. This podcast is a bit different. I'm gonna read you a story called The Fisherman and The Businessman. Helped me take a quick inventory of my life and why I do what I do. Enjoy! School is out. Kids are home. Yeah, we don’t have to wake up early anymore, but also the kids are home. I’ll be honest, the past couple summers have been, well, not as ideal as I would have wanted them. Last summer was full of therapist visits and even some anti-anxiety pills. This summer we’re off to a great start. Here are 5 tips why. I have been putting off a nagging injury ... for over a year. In today's episode I talk about that injury and how I finally overcame it, and the lessons I learned. You'll learn the steps to overcoming any challenge you may be facing today. Thanks for listening in! Recently I had my first fight. Like a real fight. Like two guys in the ring duking it out. Yeah, it was as crazy as that sounded. I’m 39, run my own freelancer business, I’m a part-time stay-at-home dad (with four kids), enrolled in seminary for my master’s degree, and decided to train, and fight. What was I thinking??? I started this journey because I felt, looked, and let’s be honest, was fat/overweight/chubby. A few reasons: Lose weight Bucket list Show my kiddos that dad still has “it” See if I could actually do something this big Well, I fought. I ended up losing a decision. I was proud of my effort. Some things I’d do differently. But, overall, happy with how things turned out. As I’ve had time to reflect I realized there are some parenting lessons I learned throughout my fight journey. Here are my top 7. In today’s podcast we’re gonna talk about instilling resiliency, or grit, into your kids life. And spoiler alert it starts with you. Let’s do this! ----------- What’s up healthy dads? 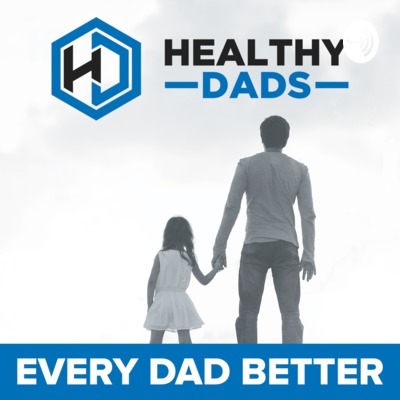 This is Mike Ruman, founder of HealthyDads.com. Story I love my kids but sometimes they can be, well, a bit lazy. I know, so can I, but as a parent I wanted to know how to instill resilience into our kids. We want them to push through when the going get’s tough. But how do we teach that? First the definition of resilience. the capacity to recover quickly from difficulties; toughness. I think ‘grit’ is a probably a better word. Just sounds cool, and easier to spell and pronounce. I asked our therapist this question. He said ‘good question, let me get back to you’. The next time I saw him he gave me this article on resilience. Basically what the article said is that resilience skips a generation. 3 Tools to Bring Gratitude into Your Life What’s up, healthy dads? In today’s podcast, I’m going to give you three tools to bring gratitude into your life. Yes, it’s easy to talk about the things that are going wrong, but how do we shift the focus to talk about things that are going right? Join me in this podcast as we explore the three tools to bring gratitude. What is up, healthy dads? This is Mike Ruman, founder of HealthyDads.com, and yes, I called you a healthy dad. If you’re listening to this podcast, you are making the steps to being healthy, and I commend you for that.